With dual-purpose cash and check scanners, organizations are capable of quickly gathering and raising funds for their missions. They present the ability to rapidly read and sort out these two methods of payment, creating less stress on the groups' part. More importantly, they're designed with efficiency in mind, being able to sort different denominations of dollars when they're all mixed in together while processing mass numbers of checks for those who wish to donate larger sums of cash than their wallets can carry. Such measures can be particularly important when it comes to student-run fundraisers at colleges and universities. One fundraiser has shown considerable success in the Chicago area. Northwestern University, one of the largest schools in the area, ran its annual Dance Marathon fundraiser in early March. Held every year, it's considered one of the largest student-run philanthropy drives in the nation. The charity event started in 1975 and has raised more than $15 million over the course of four decades. According to the Daily Northwestern, the Dance Marathon raised more than $1 million in the three days it was held; the fifth consecutive year it has surpassed that benchmark. The final total was $1,130,979 by Sunday March 8. While considered the lowest since 2012, and a far cry from the record-breaking $1,385,273 raised in 2014, the number is still significant. The charity event reports that $836,489.57 will go directly to the primary beneficiary of the 2015 edition of the marathon, the Starlight Children's Foundation. The money will be used to fund Starlight Sites, which create friendly environments for children that face chronic illness in Chicagoland hospitals. In addition, another $92,943.29 will go to the secondary beneficiary for the last 18 years, the Evanston Community Foundation. With such large amounts of money at stake, it's important to consider ways of sorting it out before it goes to the beneficiary. 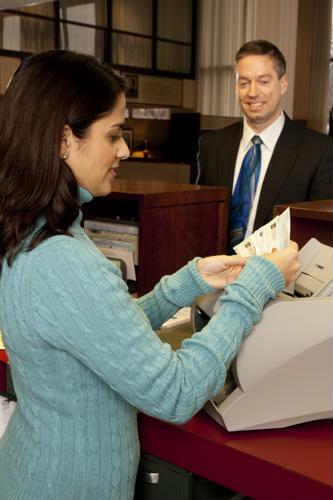 Dual-purpose cash and check scanners work wonders in this regard. By sorting out bills with efficiency, organizations like the Northwestern University Dance Marathon can quickly clear out donations, organizing and depositing them quickly so that a final check can be written out with the correct amount. More importantly, beneficiaries of these charity fundraisers are able to receive this funding much sooner than before.